The fact that Mac OS X Lion isn't distributed in a physical format can be a nuisance for many users. 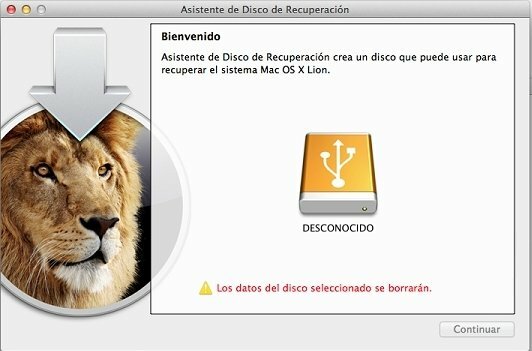 Nevertheless, Apple has thought about them and developed Lion Recovery Disk Assistant, a tool prepared to allow users to create a system recovery disc on an external hard drive or on a USB pendrive in case your hard drive fails or you decide to change it for a new one. What do you need to use this software? 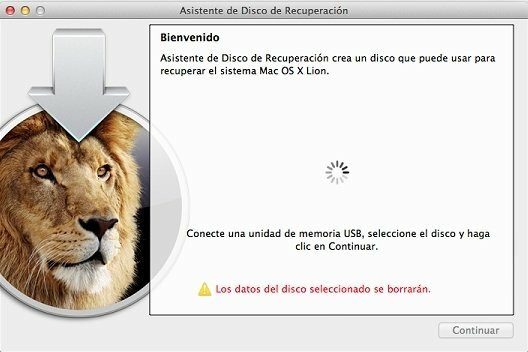 The requirements needed to be able to use Lion Recovery Disk Assistant are to have at least 1 GB free space on the storage unit that you are going to use (if not, the tool will delete the contents of the disc) and to have the recovery tool installed on the hard drive (Mac OS X Lion installs it directly when the operating system is installed). Reinstall Lion as many times as you want without having to use physical discs. Solve potential internal hard drive problems thanks to the Disc Utility. Restore copies of the operating system by means of Time Machine. Use Safari and browse over the network without any need to launch the operating system. 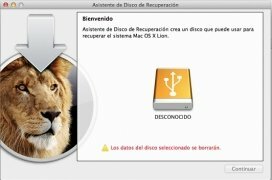 Lion Recovery Disk Assistant isn't a normal program, and you won't be able to find it via Finder or the Disc Tools. It is simply a code that will guide you step by step in the process to create backups. To use its functions you will have to reboot your Mac maintaining the Option key pressed and choose Recovery HD. Requires Mac OS X 10.7 Lion.